I don’t know about you, but I am nearly overwhelmed with all of the negativity, dissension, conflicting viewpoints, and division that seems to be threatening to overtake my heart and mind. This has been mounting for a while. With the current political climate AND the fact that 2017 promises to present our family with some major transitions, I decided that I would commit myself to DAILY gratitude for all of the good in my life. In fact, I’ve started a public Instagram profile called @love_your_precious_life where I am not only documenting, but also seeking to encourage others to look for the things that make life worthy of fullness, joy, and contentment. That feed is less personal photos and anecdotes and more general inspiration. 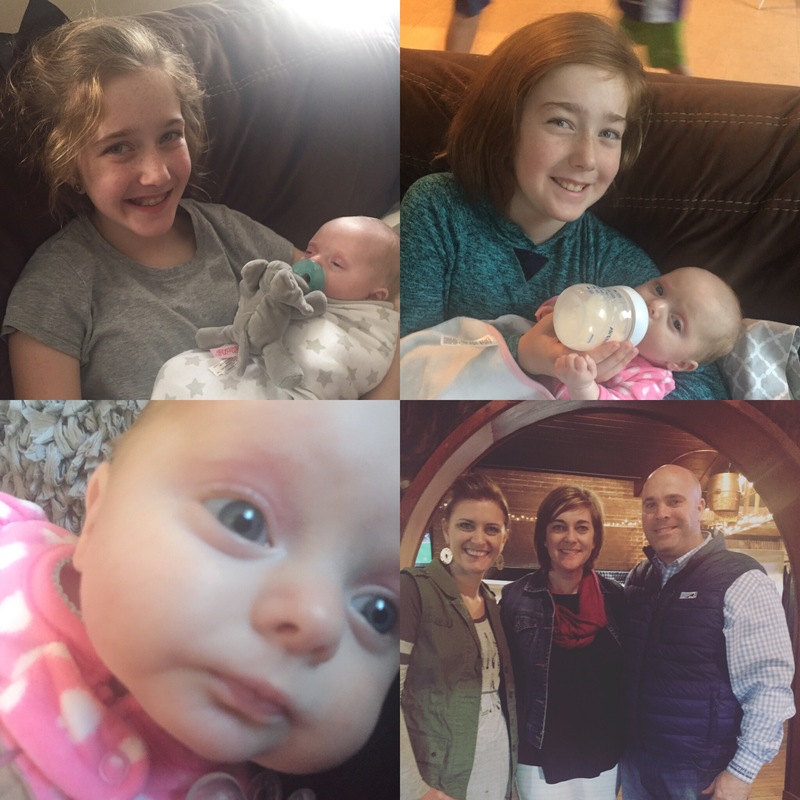 We started off the month with a quick jaunt to the Atlanta area to knock a few more attractions off of our Georgia Bucket List and visit with my siblings and their families. 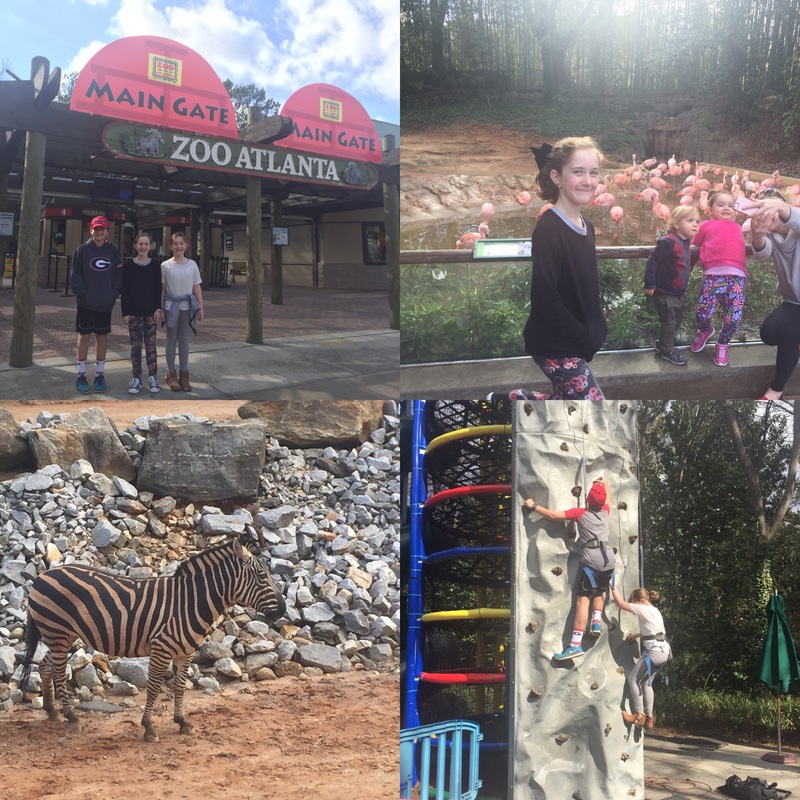 First stop was Zoo Atlanta. We had free passes from the public library and picked a near-perfect day to visit. The weather was great and the crowds were minimal. After our day with all of the animals, we went to my sister’s house and got our Harper Grace fix. That night we met up with our brother and had all eight cousins together for a meal. 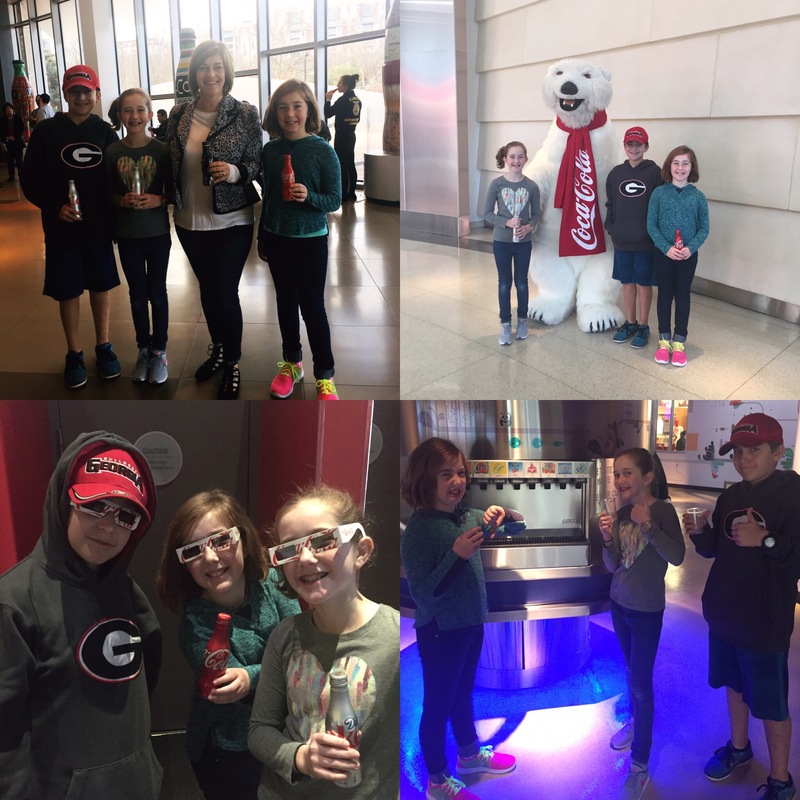 Before hitting the road to come back to Augusta, we stopped by the World of Coca-Cola. I’ll be honest, it was a bit of a letdown after all of the hype. It was fun, but felt a little overpriced for what you got. Now we know. I guess we are museum snobs. Sorry. Thomas had an orthodontist appointment. 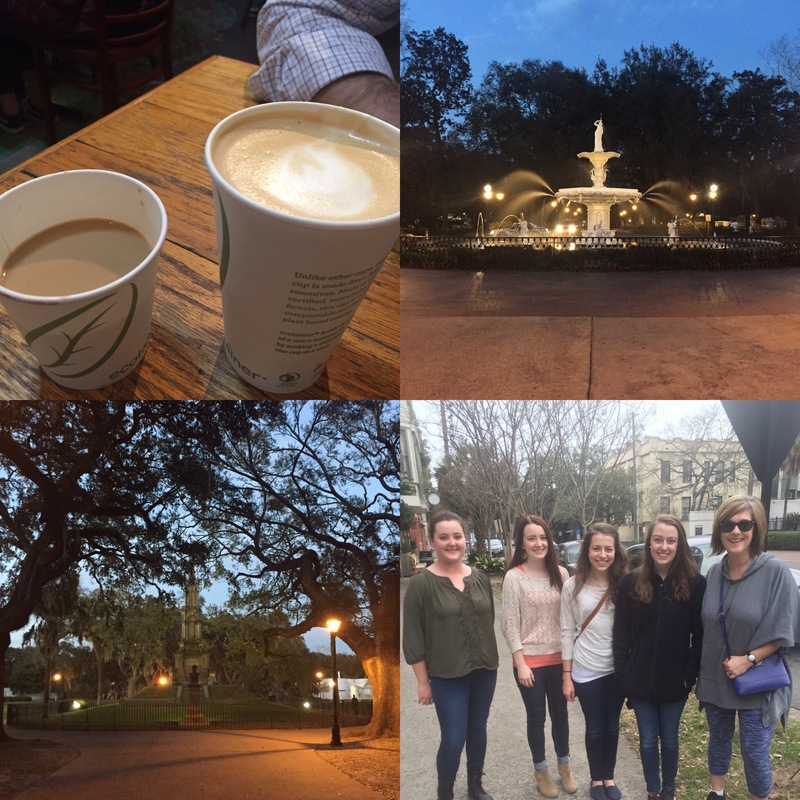 We always take the earliest time slot and later question why we did…so early! We took some of our schoolwork to Panera and had breakfast and completed our read-aloud after Thomas’s check up. One of February’s biggest highlights (and subsequent letdowns) was the Super Bowl. F I N A L L Y our beloved Falcons were in the big game, but couldn’t close the deal against Tom Brady. 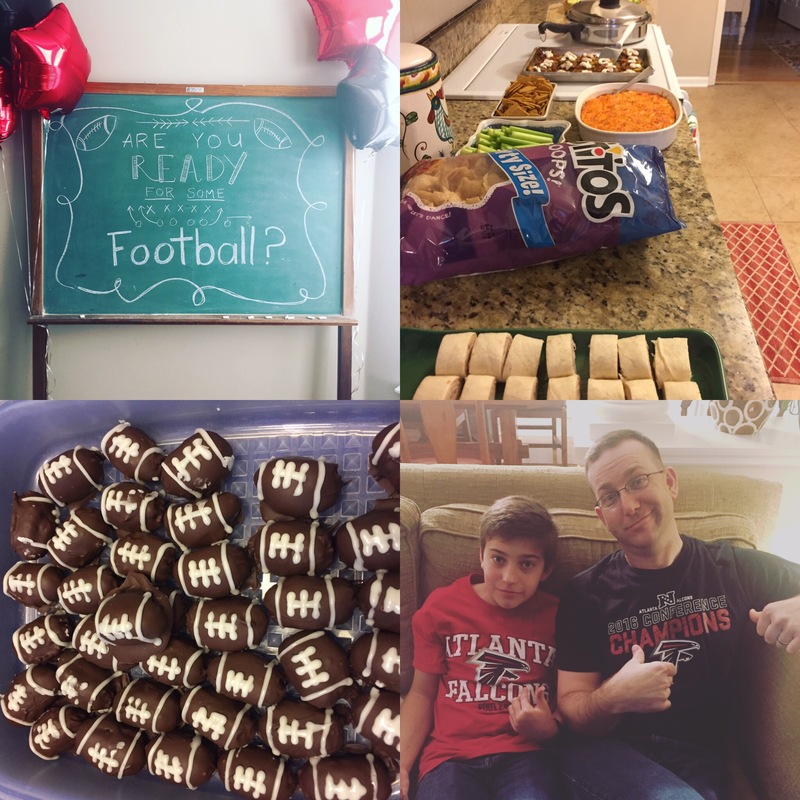 We had three other chaplain families over to fellowship during the game and enjoyed some party food. What an intense game! Our weather has been unseasonably warm. We have spent many, many hours outdoors enjoying these moderate, sunny days. Why? Well, come May it will be hotter than the devil’s armpit here so we enjoy it now. Kate got out in the second round on “D-A-R-K-E-S-T,” Mae got out in the seventh round on “L-Y-R-E,” and Thomas stayed in until the ninth round (and was in the final six students) but got out on “C-O-N-F-L-A-G-R-A-T-I-O-N.” Isn’t it funny how the words you miss stick in your mind forever. In third grade I got out on the word “P-R-O-M-I-S-E” and I can promise you I’ll never forget it. The kids have had savings accounts at one of the local credit unions and we’ve had needed to close out those accounts before our move out of state. We ended up opening up the girls savings accounts (with ATM card privileges) and Thomas a student account (with checking/debit and savings/ATM privileges) with Regions. We have made a few allowance/commissions changes and now we are able to move funds directly into their accounts instead of paying them with cash. They are so proud of their cards. I spent most of 2015 teaching my kids to do a lot of this stuff and more and it’s paying off for them and me this year! Kate is continuing on with her gymnastics class. We have got Mae signed up for spring soccer. And poor Thomas is going to miss out on baseball this year. For his age group, the season doesn’t begin until after school ball season (late May) and runs through July. We’re moving in June. Not to worry, in my research about Fort Jackson, I’ve discovered that he’ll get a fall tackle football season in while we’re there and we all hope to play lots of golf at the course that will be next to our neighborhood in Columbia. I celebrated my 40th birthday this month. 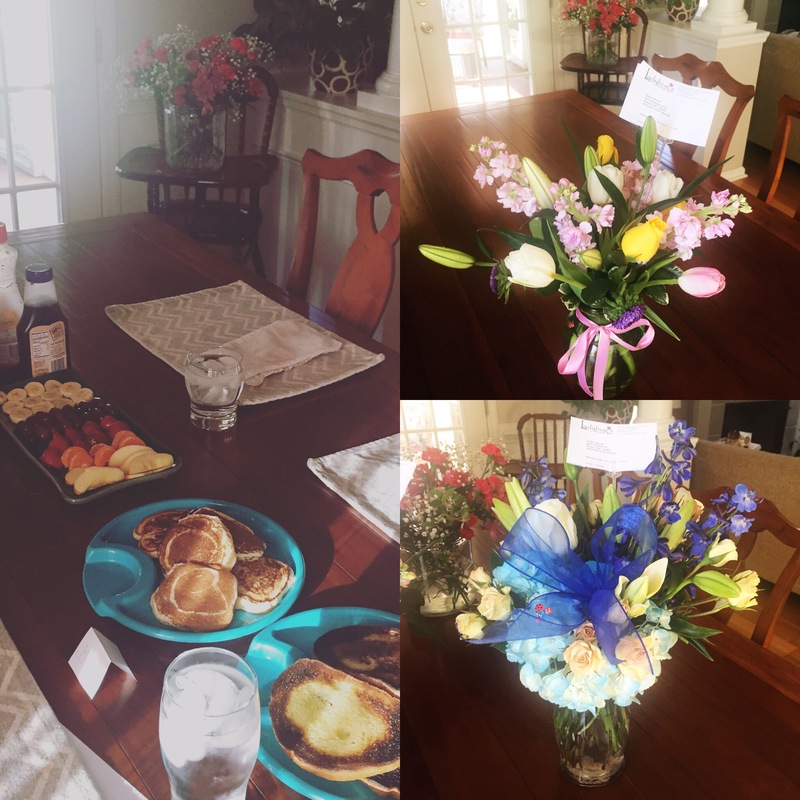 I felt so loved and special all day long. I had a day or two of feeling weepy and sentimental about crossing over the hill, but it’s all good. So far, 40 has been just like 39. The night of my birthday we were all getting ready to head out on the town when my back went out on me. If you’ve ever had disc problems or issues, you know this hits you out of nowhere and literally has you flat on your back. We all attempted to go eat, but came back home when I fell to the ground downtown when my excruciating back spasms finally had the last word. I spent the next two days in bed and have slowly been rehabilitating with physical therapy exercises, stretches, ice packs, and hot baths. I had to have a crown replaced that I’ve had since 1999. It was time and so I had my final, permanent fitting and got to keep my model. Mae has been on her microscope quite a bit. Let’s just say she’s enjoyed examining some left over items from the human body (booger, wart, hair) and a tick. Valentine’s was low key this year. It fell on a weekday and several days later, Ryan and I would be celebrating Valentines AND both of our birthdays out of town. We made some chocolate covered strawberries and had some goodies at home. I tried for the first time one of those at home meal delivery services. It was a BUST. (Very long story short it never got delivered after multiple email confirmations. I got a full refund and they are sending me a few meals in March as an apology.) This company is Martha & Marley Spoon (yep, that’s Martha Stewart) and I won’t recommend them until I actually try their food. This falls under the category of “I want to see what all the fuss is about,” and so far, it’s been more of me fussing about not getting what I paid for. I know it’s still a month away, but I was eager to de-Valentine and put out a few spring decorations. This month I was surprised by the kindness of a sweet military spouse friend who after razzing me about my inability to make deviled eggs, sent me the most beautiful piece of Polish pottery all the way from Germany. It’s a deviled egg serving tray. Isn’t she a hoot? That same day I had the privilege of being included in my first Google Hangout as part of a small team of chaplain spouses who are putting together some action steps as a result of a survey that nearly 200 chaplain spouses participated in. Another military spouse (and friend) is spearheading this and I’m thrilled to be in on the discussion. Just when it seems I find myself feeling a bit discouraged with military life, I get two awesome blessings in one day! 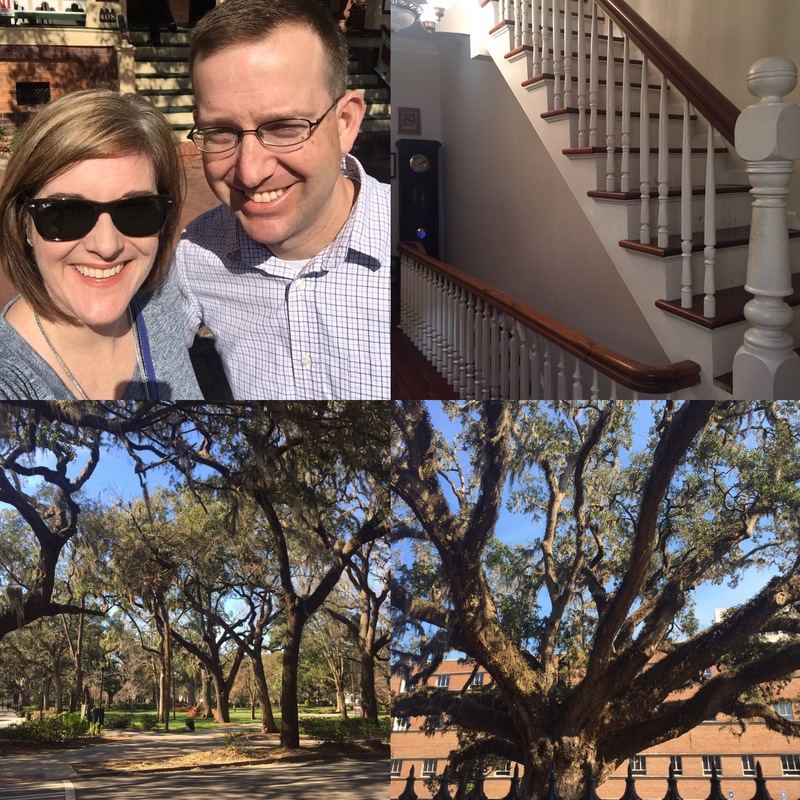 Thankfully, my back was in good enough shape that Ryan and I were able to keep our Savannah plans. We booked a room through AirBnB for three nights and only stayed two because the couple who owned the place got into a drunken fight. It was wild. 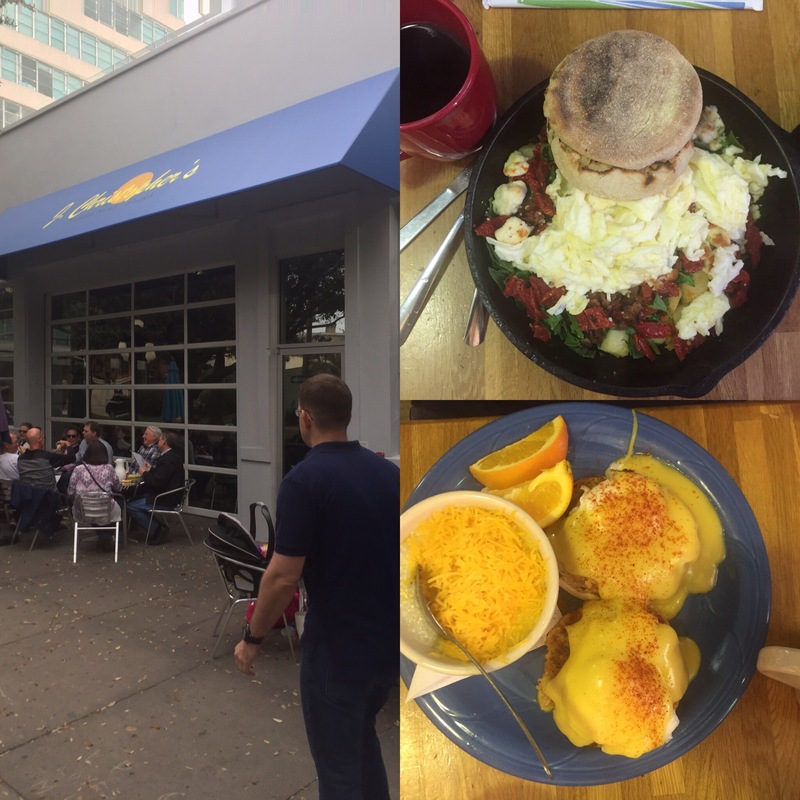 I always enjoy seeing others’ recommendations (and giving my own) on great places to eat. We are fans of and trust impeccably what we read on TripAdvisor. Here’s a lot of photos of food and a visual on the reasons I stay a few pounds overweight. 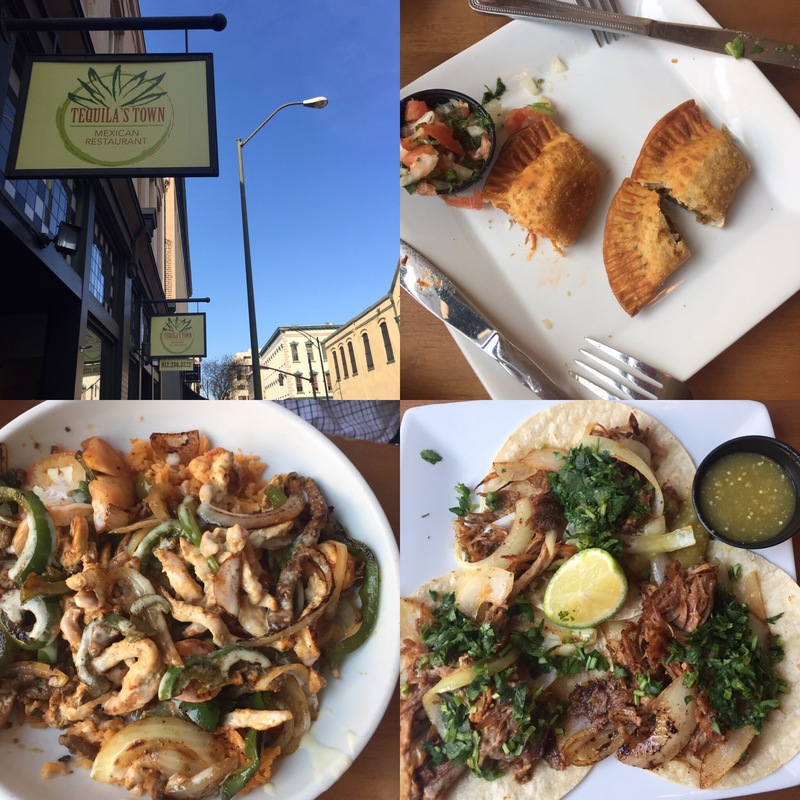 Tequila’s Town : I had the Carnitas tacos (and Ryan had part of them too). He said it was the best bite of the entire weekend. 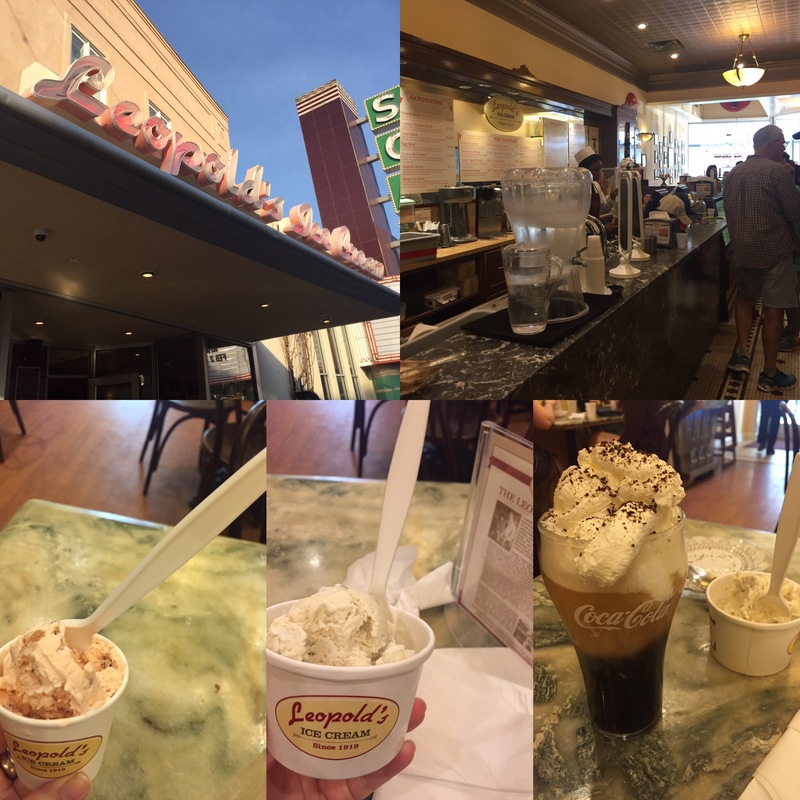 The famous Leopold’s Ice Cream: Long line. I had the banana ice cream (DELISH), Ryan had their world famous Tutti-Frutti and a coffee drink called The Nitro. Probably my favorite pit-stop of the entire weekend was the hour we spent talking to the operator of The Book Lady Bookstore. This spot was below ground, full of an awesomely curated book collection, had chairs placed all around to encourage you to sit and flip through their books. 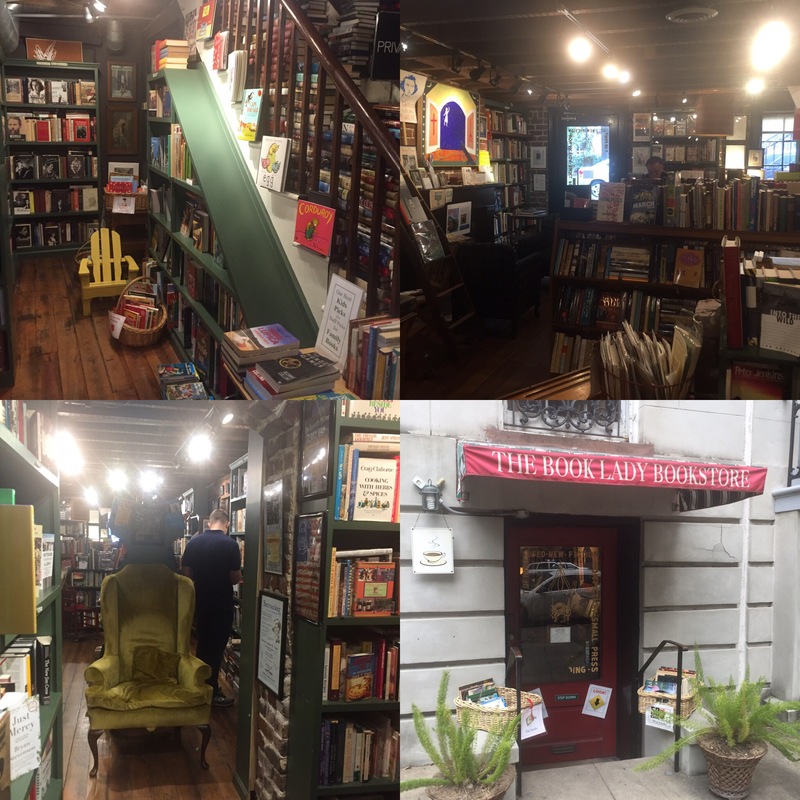 I talked with the operator about many of their rare book collections and realized that I think my life’s dream would be to own and operate a place like this. 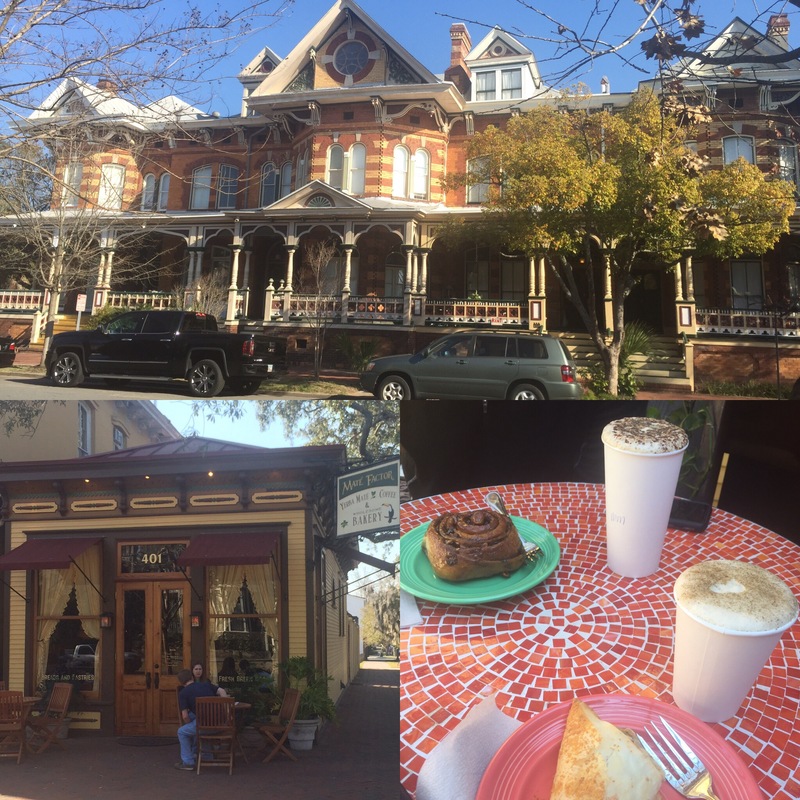 It’s library + The Shop Around the Corner from You’ve Got Mail + history + people who love books like the friends they are. 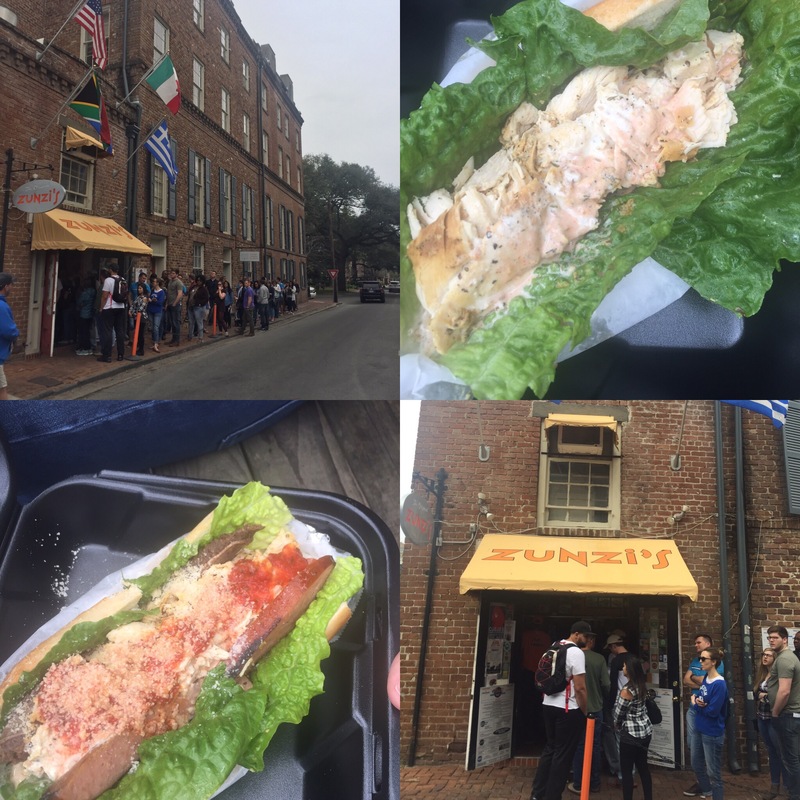 For lunch that we weren’t really even hungry for, we stood in line at Zunzi’s for their world famous, *third best sandwich in the world* Conquistador. It was really good. We took our sandwiches (and a Mexican Coke for me and some rooibos tea for Ryan) and walked down to one of the squares and ate on a park bench. We walked around more, saw more sights/sites, and then came back to rest in the room for a while. We walked to a late dinner at a great spot in the neighborhood where we stayed. For two people that weren’t really hungry, we sure put away that cheese tray, a burger and fries (we split), homemade Twix bars and coffee. 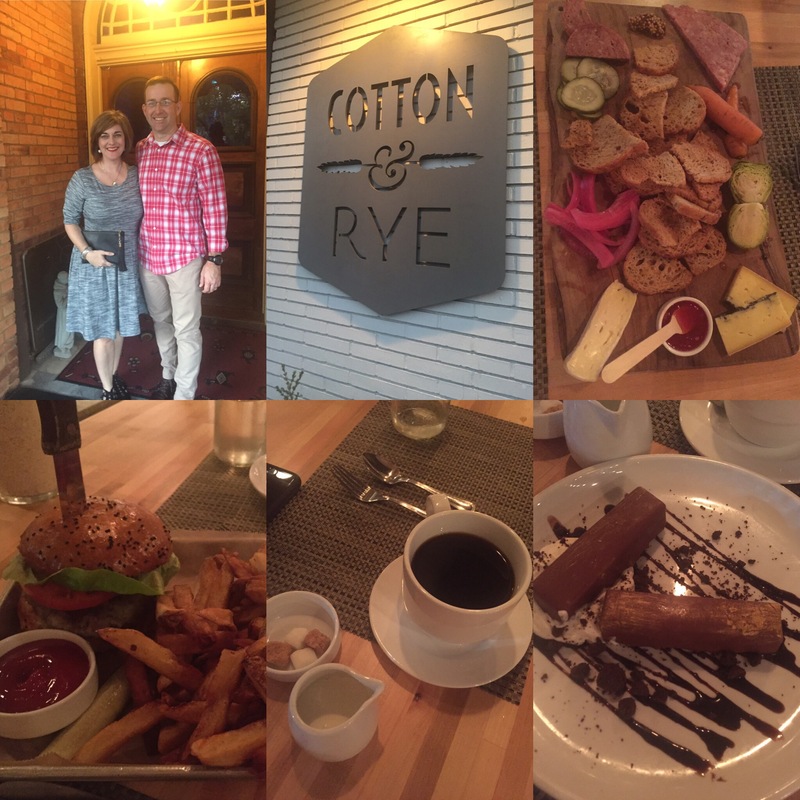 Cotton and Rye is a must try if you’re ever in Savannah. Very cool, farm-to-table kind of spot. We walked to an “interesting” breakfast spot, tried yummy yerba-mate, and then got creeped out when we learned what the people who own/run The Mate Factor were all about. (CA-REEEEE-PY!) For our Chattanooga pals, this is the same group that runs the Yellow Deli downtown. 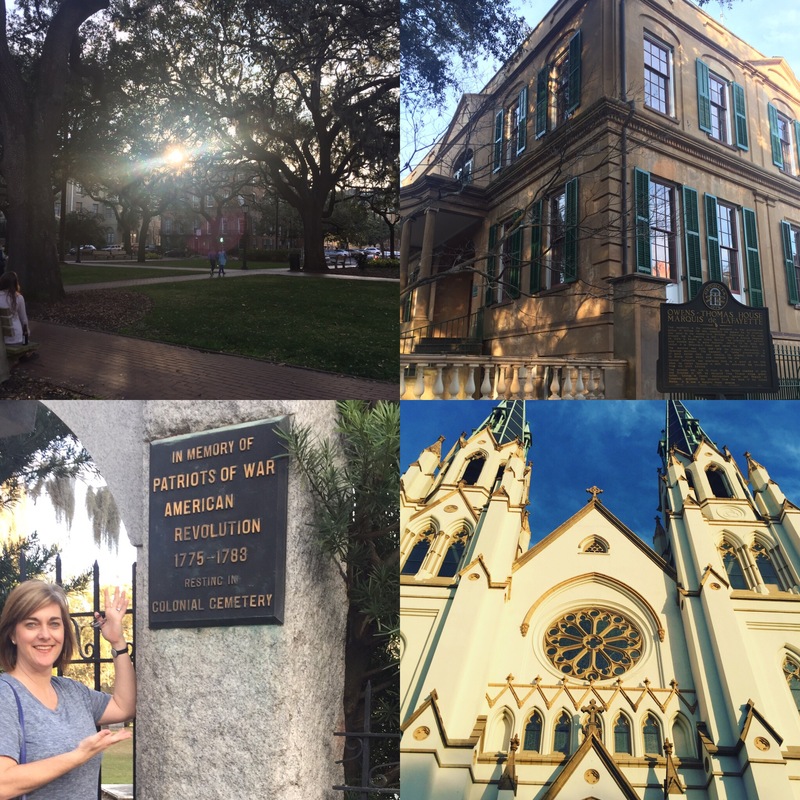 We enjoyed Savannah, but were super glad to be reunited with our sweet kiddos. We appreciate Mom and Dad coming to stay with the kids (and especially for staying an extra night so Ryan and I could visit with them too)! The Monday of President’s Day, the weather was amazing. The kids and neighbors played in their forts and in our creek. Ryan took his kayak (also known as our sports’ equipment holder) out for a few hours of fishing. Thomas, Mae, and Kate had a birthday party in the neighborhood to attend. Their buddy Tony had one of those gaming trucks rented and they all enjoyed the fun! I have been enjoying my Kroger flowers like crazy. As I type, these flowers are still going strong after some fresh water and 13 days! I’m not ashamed (too much) to admit I’ve been sort-of binge watching Hart of Dixie on Netflix. I fell down the rabbit hole when I was bed ridden because of my back. And now I’m getting in episodes when I’m cooking dinner and in that window of time when the kids are outside and Ryan hasn’t made it home from work yet. 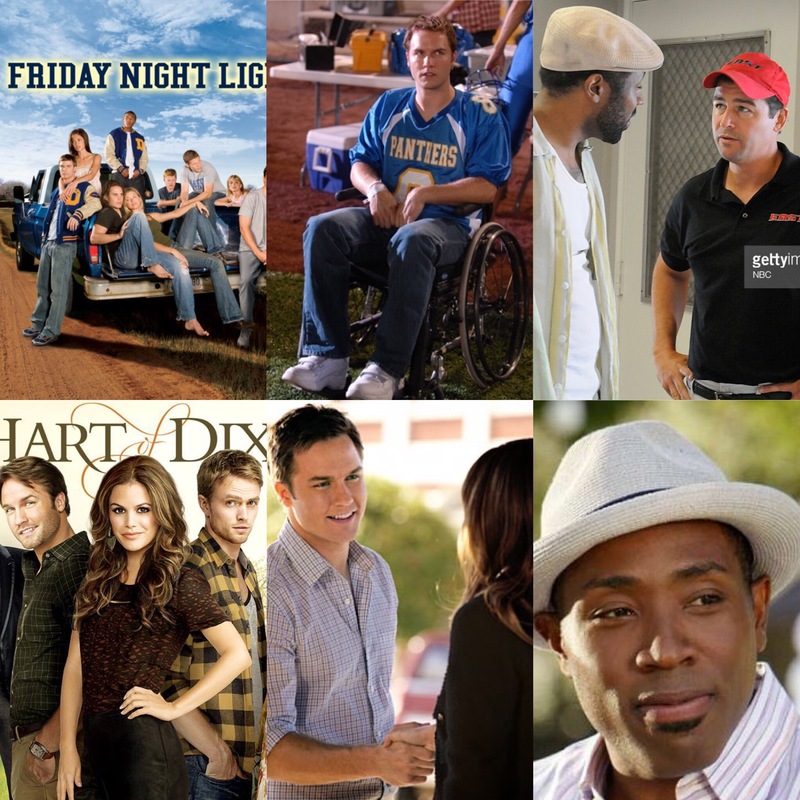 It’s SUPER cheesy, and has some of the characters from Friday Night Lights. The whole show is set in a fictional town, Blue Bell Alabama. Again, SUPER cheesy, but entertaining in a rom-com kind of way. I’ve been listening to The Popcast for a few years now, but if you’re in the market for a new podcast, you should give it a go. All of their February episodes have been their best yet. I’m also a longtime fan of Happier with Gretchen Rubin (and her sister Liz Craft), The Minimalists (their Netflix documentary did not disappoint), The Dave Ramsey Show, The New York Public Library, and She Proves Faithful (new to me this year), in the event that you need more recommendations. Another fun discovery this month, has been getting all three of the kids set up on Khan Academy. It’s free, extra practice for mostly math and grammar, and they think it’s like a game to earn points! 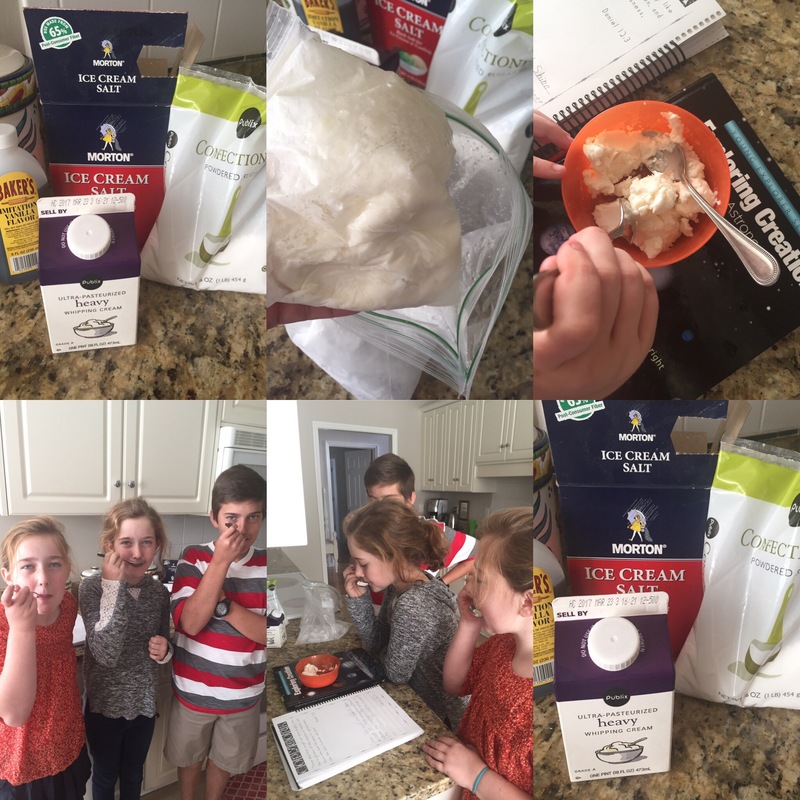 (KA sends me weekly emails to show their progress and skills they’re mastering…so, pretty neat!) Hashtag homeschool. Hashtag math nerds. I’ve been reading and hearing about the Enneagram for months now. As a lover of all things personality typing (um, remember?) I have been devouring much so much information about my results. I took the test and got about 41 pages of “results information” that felt like reading my life story. So good. So eye opening. I’ve already read a book on how your type plays into your career choice and I’ve requisitioned our library to order another book I hope to read on the Enneagram and its spiritual implications. I’m a six and I’ve pegged Ryan as a one. You can read up on each type here. As much as I’m not a fan of multi-level marketing hoopla, it was killing me to find out what the big deal is about LuLaRoe. I ordered this “Perfect Tee,” the blue leggings (top row, center picture), and an Amelia dress. I love the shirt and dress. The leggings…meh. This was a little collage I sent my consultant after I had a chance to play with some fun outfits using one shirt. 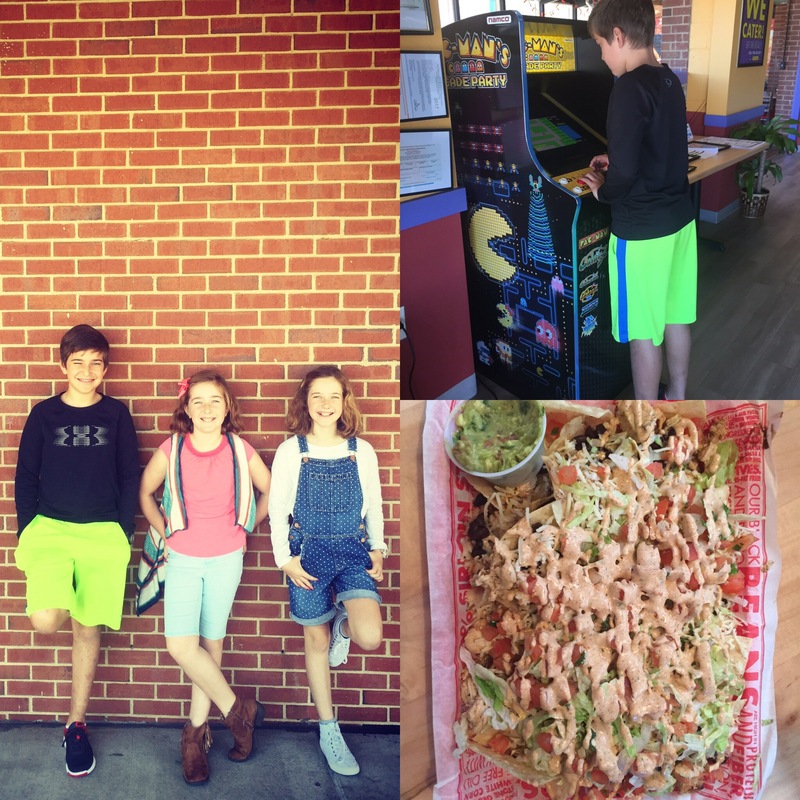 This past Friday we had a short school day, took a trip to the library, had lunch at a new-to-us place, Barberitos, and spent the afternoon getting ready for the boys to go camping and the girls and I to go to a friend’s house for dinner and hang-time. As I was preheating the oven for Ryan and Thomas to have a quick bite of dinner before they left for the campout, I accidentally started a fire. I’d left some overflowing banana bread batter in the floor of the oven and it caught on fire. Not my finest moment, but I got it out with flour. Saturday it took me more than an hour to scour and deep clean the oven. Grrr! A theme this month has been sunny days and warm weather. These two got on their swim suits and decided to play in the water hose. Ryan and Thomas enjoyed their weekend at Battle of Aiken with the Trail Life troop. 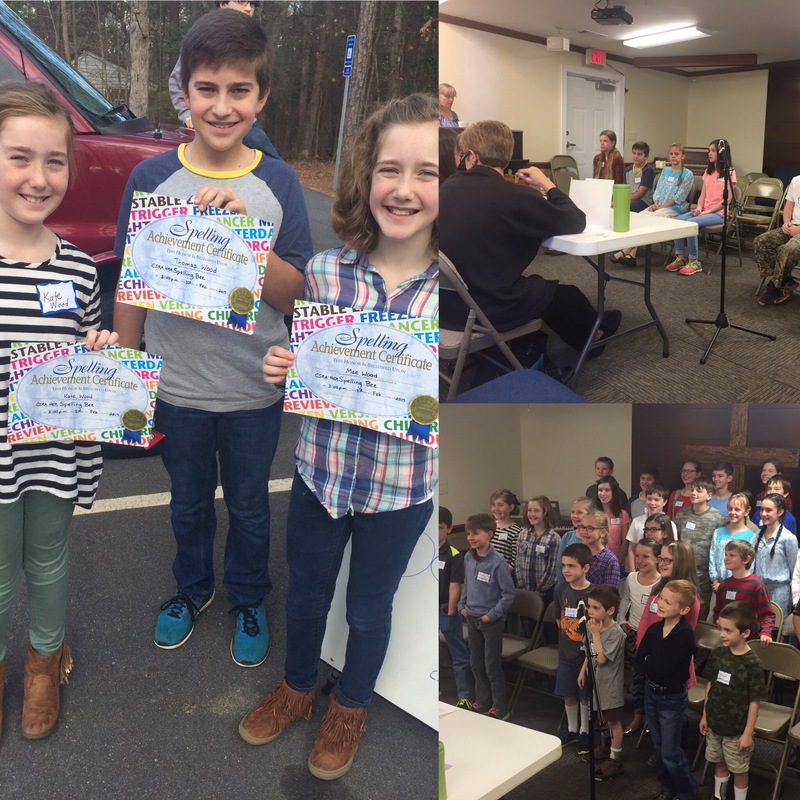 This was Thomas’s second year to attend this campout: a homeschooler and history lover’s dream! And finally, yesterday, I was able to be a contributing writer for the Millie Journal. MILLIE is a very cool concept; it’s basically an online, one-stop-shop for helping military families plan their next move. Read more about what they offer here. Thank you February. I tend to have the February Funk every year during this time. With the spring-like weather, those feelings were kept to a minimum. We had lots of good times together as a family as well as some fun family and friend time too. Hosting the chaplain spouses coffee at my house–my third and final time here at Fort Gordon. Starting Mad Men with Ryan and analyzing the complicated persona that is Donald Draper. Tracking my sleep habits like a boss. Multiple long phone calls with my “therapist” Doctor Meg. Making a video to memorialize our kids’ forts at this house and getting so many messages (and videos) from friends whose kids were inspired by ours. Selling more tests on Teachers Pay Teachers and wishing I knew the secret formula for picking another book (or five) to make up a test that has been as popular as this one. Participating in Dean Street Society’s “Style Me February” style prompts. Working our way through the book of Luke for family devotional nights. Continuing with my public @love_your_precious_life Instagram profile–it’s really helping me to hunt the good stuff. Getting some fun things on the calendar for spring. Volunteering as a leader for an (new) American Heritage Girls group my gals will be part of. Continuing to use online grocery ordering (Kroger, and yes, even the dreaded Wal*Mart) but also falling in love again with EarthFare. Getting in touch with a church in Columbia and making plans for some summer fun for our kids. Getting on the housing list (officially) at Fort Jackson. Hearing final confirmation for all of our scheduled tours for our April D.C. trip. Finishing out our two months of dance lessons and feeling like Ryan and I could actually pull off our West Coast Swing the next time we’re at a ball or a wedding. Claire…you are such a wonderful example of ‘living life to the fullest!’ I’m so proud of you!! Love that you created an Instagram to fill with positive vibes. I get what you mean that life just seems to always have some issue in every size, a new bill, a repair to the car, a company downsizing and termininating jobs, nations in building tension. I try hard not to keep blinders on but to not let things affect me. It’s difficult at times. I’m going to check out your Instagram!